When you walk into this closet with the custom built cabinets that are topped with a custom granite slab, you have to wonder who’s gonna look better, you or the closet! 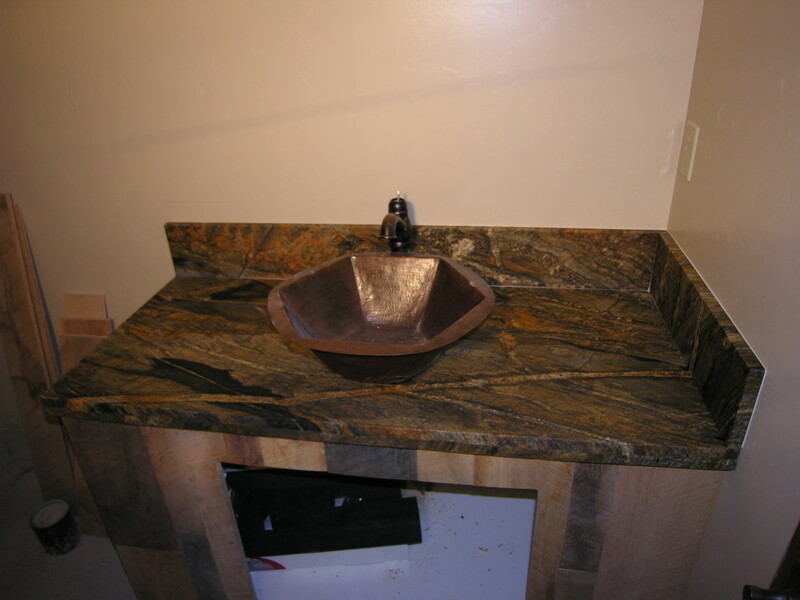 This custom granite counter top with copper basin sink gives this bathroom the rustic look of the wild west. 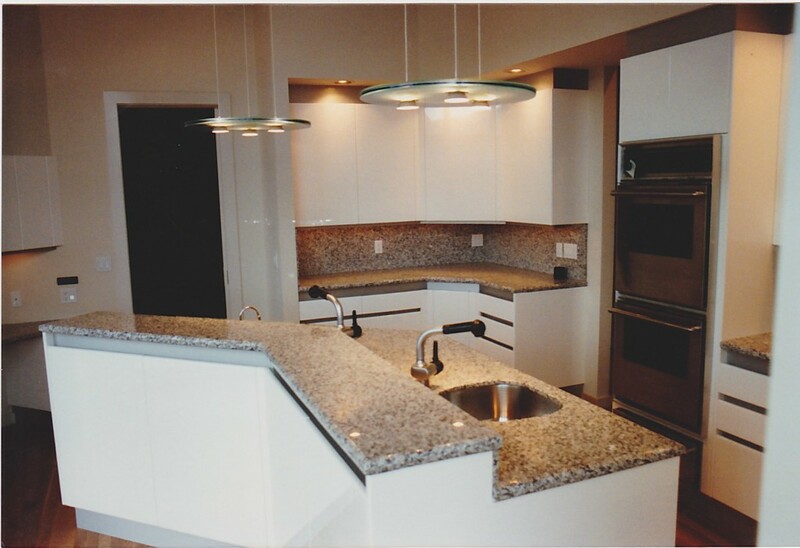 Add the wood plank look of the cabinet and you end up with a marvelous looking masterpiece! We thought we were out of this era, then all of a sudden, it’s back! 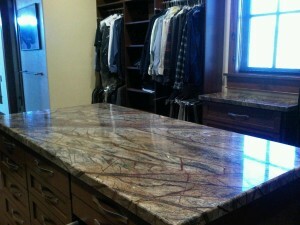 This is a great example of just how well custom stone counter tops withstand the test of any era of time.